I remember having a conversation with my friend Walshie, an urban planner in London, about the negative social impact of bad urban design. Architecture, she explained, creates opportunities. And badly planned architecture creates the opportunity for bad things to happen. As an obvious example she cited how the installation of a women’s public underground toilet in one poorly policed low-income area lead to a shocking number of muggings and rapes on site. Other examples of poor planning included closed stairwells, fragmentation of public spaces, and long passageways without overlooking windows. This was my first real exposure to the idea that “peace” was as much a question of well-planned infrastructure—built with an awareness and integration of the lowest common denominator—as it was about idealistic education and goodwill. Feel-good cross-border initiatives and humanistic moral education programs have value, sure, but equally if not more important is the construction of a sturdy social infrastructure that takes people where they are at, and is creatively designed to maximize the potential of a survival-driven human population in the context of an unequal and unjust world. At a macro level, “peacebuilding” is incredibly technical. Take the RDRC (Rwanda Demobilization and Reintegration Commission) as an example. With an annual turnover of $52 million and a head office in Kigali with a couple dozen staff, it’s easy to wonder what exactly they do. In order to spare you a long and incomprehensible list, let’s create a fictional character, we’ll call him “Bosco,” and map his journey from the Congo to his native Rwanda. Bosco’s Hutu family fled Rwanda with Bosco when he was a child in the wake of the 1994 Rwandan Genocide. He spent the next two years in a refugee community in Kivu, until one day when RPF fighters attacked his camp. Bosco fled to a nearby community where he was picked up by FDLR fighters offering him protection and the opportunity to avenge his presumed-dead family. For many years, Bosco fought. Around 1999, he heard rumors that Rwanda was peaceably repatriating ex-FDLR and even ex-FAR (the army in charge at the time of the Genocide), but he had nothing to return to, as his commanders insisted to him that his own family was dead. Between 2001 and 2006, several of Bosco’s friends deserted the army, some taking their dependent families with them. Soon, through word-of-mouth and sensitization programs, it became common knowledge that MONUC (the UN Mission in DRC) advertised safe transfer to Rwanda via their demobilization centers in Kivu. Civilians wanting safety and better opportunities were even posing as ex-combatants and flocking to the centers. By then, however, defecting was a near-impossible feat, and those caught trying were immediately executed; for ironically as the more moderate commanders fled the Congo, the army was left in the hands of increasingly extremist leadership. Bosco spent an entire year planning his escape, and when fighting broke out, his unit was mobilized, providing him with the opportunity to flee. From the MUNOC transit center he was transported to a screening center on the Rwandan border, where he was asked his several questions about his military history to verify where he served. He was also asked his age, and this determined that he would be sent to the adult Demobilization Center in Mutobo. 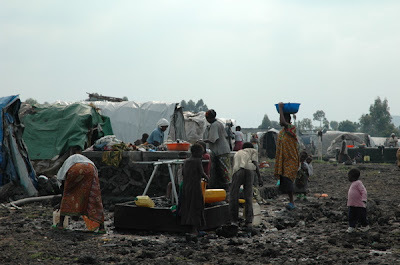 Among the other people screened, civilians were send back, dependents of combatants were sent into their Rwandan communities of origin, and child soldiers were sent to the Child Rehabilitation Center in Ruhengeri. Bosco was terrified throughout the screening process, as the entire demobilization program was run by the Rwandan government, meaning the staff were all “enemy” RDF. 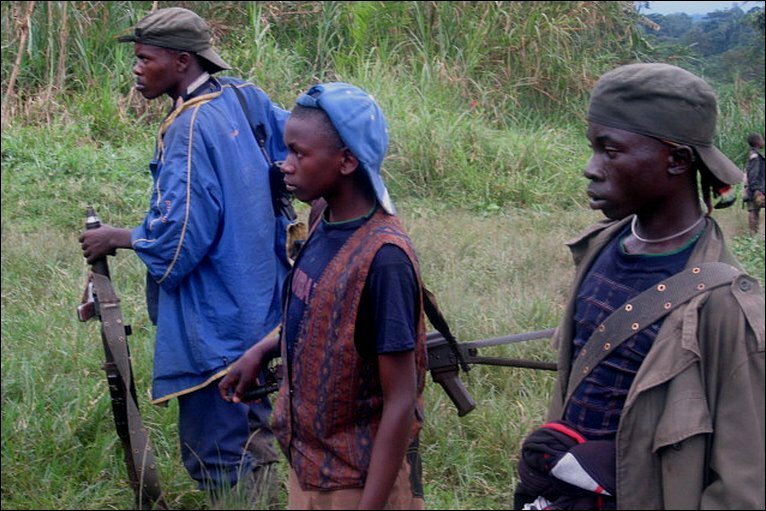 There was a very real possibility the rumor that the demobilization program was a ploy to capture and imprison or execute FDLR soldiers was actually true. After his transfer to Mutobo, Bosco was given some pocket money and told to visit his home community in Rwanda and then to report back to the center in 2 weeks. Staff at the center helped to trace the location of any family members, and it was in this way that Bosco learned that his Mother and 2 of his Sisters were still alive, and had repatriated in 2001. Bosco was promised $100 USD if he reported back to the center and completed the 3-month training program which covers everything from tourism and entrepreneurship to health and HIV awareness. He graduated the training program along with 500 other classmates (2 women and 498 men), after which he returned to his hometown to live with his mother, where his was enrolled in a year-long vocational training program for welding, paid for by the RDRC. Upon completing the program, the RDRC bought him $300 worth of welding materials so that he could start his own business. Thereafter, he was checked up on quarterly in a home visit by an RDRC staff member. In a nutshell, providing safe transit to Rwanda is actually a microscopic portion of the work of demobilization. The RDRC has learned from the recent tragic examples of “demobilized” populations in West Africa who were unskilled and unable to properly reintegrate, leaving them highly likely to join a militia—any militia—any time fighting broke out in the region. The RDRC has to design and budget for demobilizing a human being from A to Z: from outreach and propaganda in the Congo to combat false rumors about the program, to coursework, to strategic bribery to keep participants engaged in the reintegration process until completion. The success rates here are among the highest in the region. And the annual budget, interestingly, is one of the lowest. It’s exciting that institutions like the RDRC are working this way at a grassroots level; taking a single human being exactly where he or she is at, and investing in giving that person the capacity and resources to contribute to society in a healthy way. I wonder when we will stop holding useless protests and start treating corporations, governments, and other human institutions with exactly this same level of intelligence, generosity, and compassion. Telling the military-industrial complex to stop building weapons is analogous to telling a soldier to stop fighting. It’s probably useless unless you invest your own resources in investigating and presenting a healthier—and more profitable—alternative activity to pursue.